Moving is a complex and difficult task. While it requires energy, effort and time, nothing works if you do not have the skill and competence to execute the task. Wobbly packing and an insecure move will surely lead to damages and loss beyond recovery. Hiring professional House, Office & Furniture Removalists In Hallam is, therefore, a prudent call when it comes to moving local or interstate. 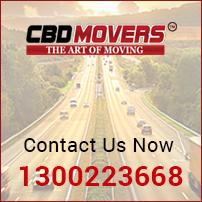 We, at CBD Movers™, offer the finest interstate removal services in Hallam, Australia. Armed with the skillful personnel and equipped with the latest supportive gear, we ensure a safe and smooth move. Be it packing, moving, unpacking or reassembling and rearranging belongings at the new location, we extend full-service moving assistance at reasonable rates. 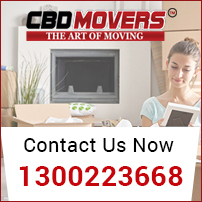 CBD Movers is the most trusted removal company in Hallam, Melbourne. We undertake a vast array of removal services and offer flawless execution at reasonable prices. We understand the varied needs, requirements, and budget of every client and offer customized solutions for a perfect move. We provide extensive ‘Movers & Packers’ services for house, office, and furniture removal. Our ‘Two Movers & a Truck’ service is apt for shifting pool tables, pianos, heavy furniture, and bulky machinery. We excel in packing and use sophisticated packing material and novel techniques that bestow maximum protection to goods during transit. Our moving services are not restricted to territories as we possess all the necessary licenses to undertake local, state and international removal without legal hassles. Our huge fleet of trucks is well equipped for convenient removal services in Hallam. At CBD Movers, we take pride in our outclass removal services and extremely affordable rates. We follow the policy to slash every written quote by 10%, making us the cheapest removalist in Hallam, Melbourne. Our comprehensive transit insurance offers additional protection to goods during transit. We offer an ‘all-inclusive’ quote with no hidden extras. Hallam, a suburb in Melbourne, Victoria, Australia, is 34 kilometers south-east from the Melbourne central business district. Part of the City of Casey, it spreads over an area of 7.9 square kilometers and has a population of nearly 10,000 people. Having its own railway station, Hallam boasts about its superior connectivity. 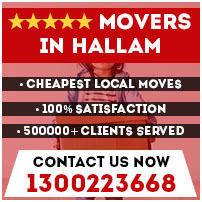 At CBD Movers, we extend support and services for all sorts of moving jobs to the people moving in and from Hallam. Our services are safe, reliable and extremely affordable. Call us at 1300 223 668 for quick and prompt relocation services.